We’ve stayed at plenty of Walt Disney World resorts, from value to moderate to deluxe, during our many years of WDW vacations. While we certainly have our favorites, we’ve never found a bad resort in the bunch! That said, it’s important to find the resort that best suits your family and the kind of vacation you want. After all, one person’s resort “con” is another person’s “pro”! 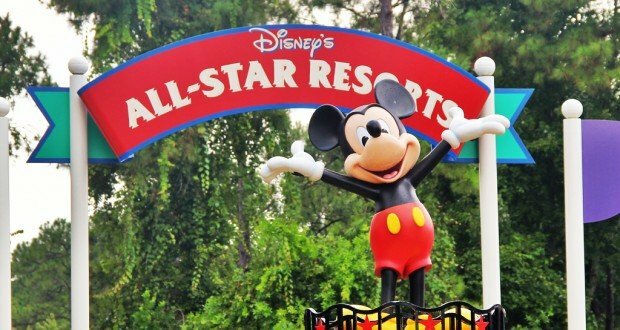 Here are the main pros and cons of Disney’s All-Star Resorts; read on to see if they might be the perfect home base for your next WDW trip! All three of Walt Disney World’s All-Star Resorts are value resorts, which means the cost-effectiveness is built right in! If you’re travelling on a budget or want to save your well-earned cash to spend on something other than accommodations, these resorts are for you. We love that All-Star Resorts make staying on property a possibility for the average family. 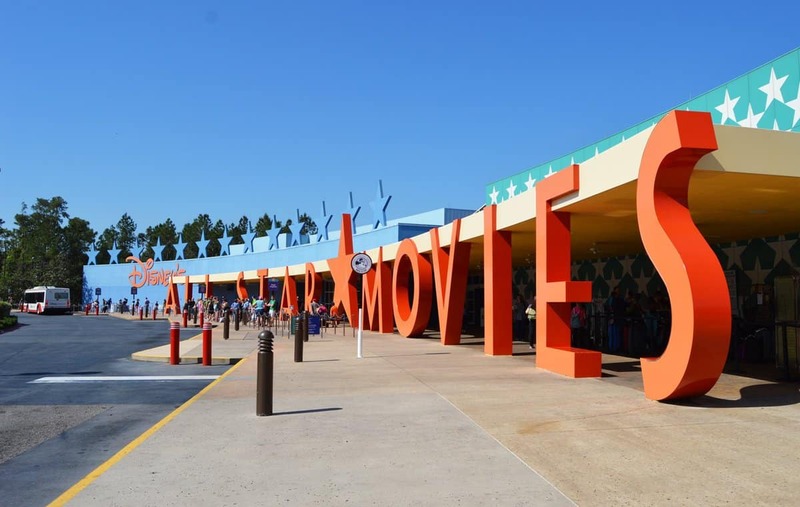 Disney’s All-Star Music Resort, Movies Resort, and Sports Resort are a ton of fun when it comes to theming. They all boast colorful, larger-than-life icons scattered throughout the resort grounds (think: massive football helmets, huge musical instruments, and enormous versions of Disney characters). As a result, they’re a huge hit with kids! You can spend hours just exploring all the fun elements at each of these resorts – they’re a great place for some hilarious selfies. Because of the size of the All-Star Resorts, you’ll find multiple pools at each one, which is a bonus for any swimmers in your party! There’s always one spectacular main pool, and smaller ones throughout the resort. This means regardless of which building you’re in, you’ll find a pool close to you. Of course, if you’re like us, you’ll want to check them all out anyway! While you won’t find any fancy bells and whistles here, accommodations are always clean and comfortable at Disney’s All-Star Resorts. Plus, you’ll enjoy many of the same amenities and perks that guests at more expensive resorts enjoy (poolside movies, complimentary transportation, mini-fridges, Extra Magic Hours…). These resorts are perfect for guests who want to spend most of their time in the parks, not in their rooms! One of our favorite things about Disney’s All-Star Resorts is that they’re located next to each other, meaning they’re all within walking distance of one another. So it’s super easy to take a stroll and explore the theming of the other resorts, or even get off at the resort next to yours if that bus has a shorter line. 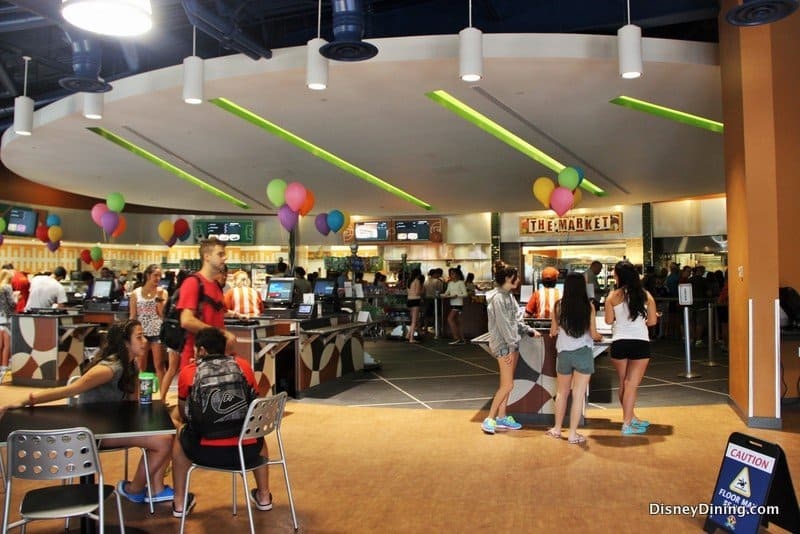 You won’t find this perk at many other Walt Disney World resorts! Walt Disney World’s three All-Star Resorts are pretty massive. They house guests in numerous multi-storey buildings throughout the grounds. While you are welcome to request a specific location, there’s no guarantee you’ll actually get it, and there’s a very good chance you might be facing quite a long walk virtually anywhere you want to go within the resort. While this might not be a problem for some guests, it can be tiresome if you have young children, especially after an already exhausting day in the parks. 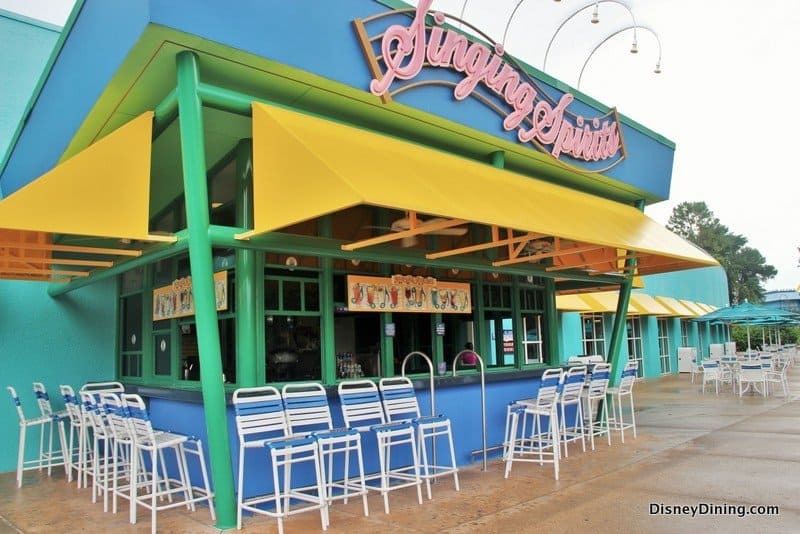 While each of Disney’s All-Star Resorts has an abundance of quick-service and even delivery food options available all day long, none of them have a table service restaurant. We’ve never found this a problem as we typically book table service reservations outside of our resort, but just be aware that if you’re looking for a relaxing sit-down resort meal where you’ll be served, this might not be the place for you. The rooms at Disney’s All-Star Resorts are definitely on the small side, especially compared to the size of rooms at the moderate and deluxe resorts on property. They have everything you need, but you won’t have a ton of room in them. But if you’re only using your resort as a place to crash after a long day at the parks, you might not even notice! 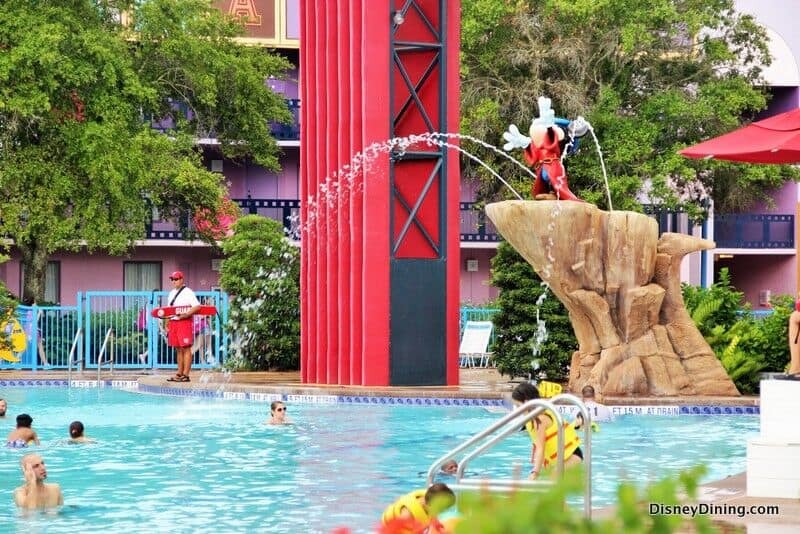 Disney’s All-Star Resorts are often the top choice for large families and teams, and these resorts can hold a lot of guests. Which makes this a decidedly crowded environment, regardless of which of the three resorts you choose. You’ll likely face longer bus lines (and very crowded buses), for example, as well as longer food lines. Of course, this also means these resorts are often noisier than smaller resorts (ask for a room away from the pool if noise is a concern for you). If you’re looking for intimate accommodations where you can enjoy peace and quiet away from screaming children and jubilant sports teams, you might want to choose a different resort!